A Philippine-based startup raised a significant amount of cash in its recent initial public offering (IPO) at the London Stock Exchange. BigDish, which offers deals and discounts at partner restaurants through its online reservation platform, raised $2.3 million (P120 million) during the IPO. BigDish will use the money to finance its expansion, boost its brand, sign up more restaurant partners, and improve its online platform. 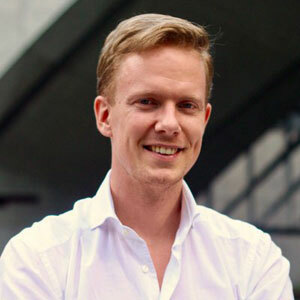 The startup was founded in October 2016 by two expats in Manila, Joost Boer and Aidan Bishop. The company now has 25 employees and has already raised funding from angel investors. It also has branches in Hong Kong and Jakarta, Indonesia. BigDish counts IHOP, California Pizza Kitchen and Motorino as among its partners. “In my younger years, I had a job washing dishes in a restaurant. On a Friday night, I’d pretty much work myself in the ground while on a Tuesday the chef might send me home because there was not enough work to do,” Boer said in an interview with E27. “Imagine this situation from a restaurant’s point of view where on one night there are lines in front of your restaurant while on other nights the place is 90 percent empty. It is an obvious inefficiency to which BigDish offers an obvious solution, and it’s a problem I’m personally passionate about due to my past experiences,” Boer added. BigDish uses yield management to provide lucrative deals and discounts to customers. Through this strategy, customers can dine at partner restaurants during off-peak hours and take advantage of discounts ranging from 10 to 50 percent. Yield management is widely used in the hotel and airline industries to increase revenues. Boer said that the decision to go public in the London Stock Exchange is because of Aidan Bishop’s access to capital in London and his familiarity with the British IPO process. The company is also planning to launch in the United Kingdom. BigDish is available through its website and as Android and iOS apps.